The week started with media day. 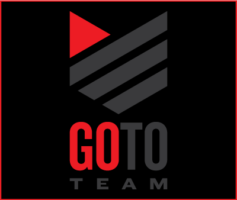 We did sit down interviews on the F3 with Arri Ultra Primes with Kurt Warner and Peyton Manning and another with Deion Sanders and Richard Sherman. 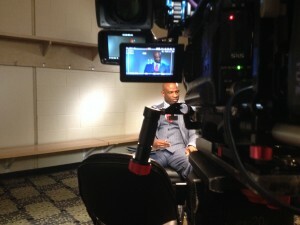 The space was tight, but the Ultra Prime we able to get that shallow depth of field to really make the interviews pop. 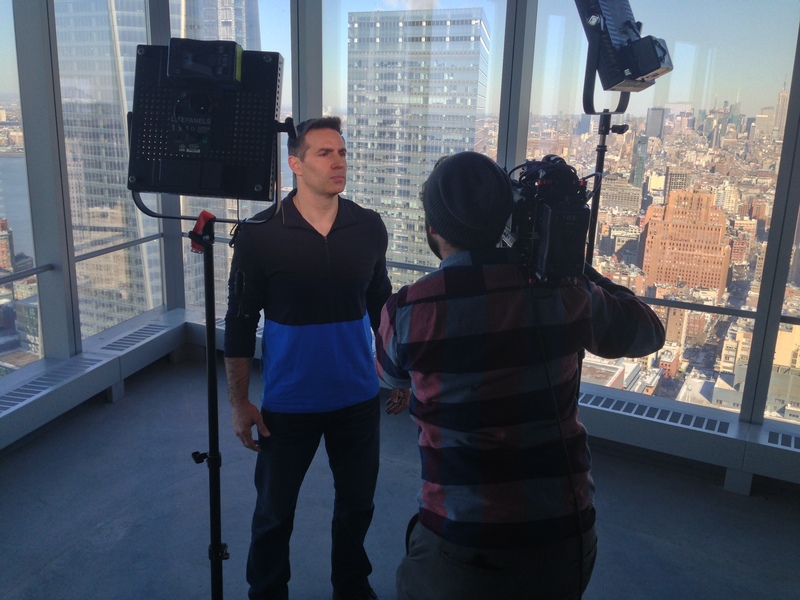 Next we did shoots with Kurt Warner on the 50th floor of The World Trade Center and in the heart of Time Square with Willie McGuinst. Day 3 was very exciting. We setup a 3 HDX900s and a C300 for an interview featuring Rich Eisen, Deion Sanders, and Bruno Mars. 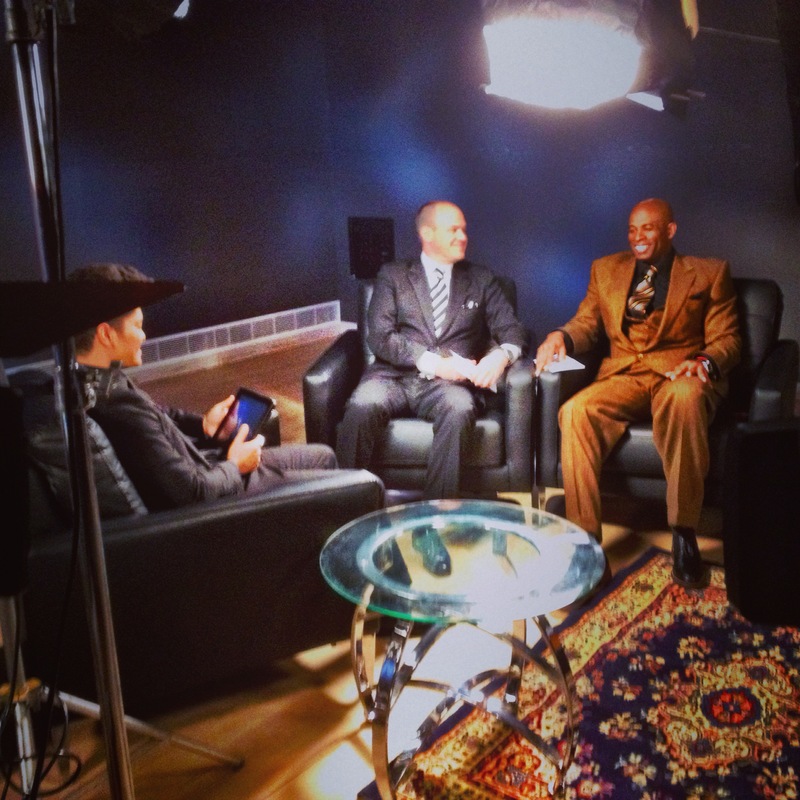 Bruno was super cool and Deion showed him a great commercial that has Deion returning to his “Primetime” roots. Some where in all that rush was coverage of the Commissioners Press Conference and the NFL Honors show, Sunday was the big game though. On the F3 I shot slow motion footage for a highlight sizzle reel of the game. With my long ENG lens I captured abstract shots of snaps, kickoffs, players’ faces, and of course big hits.